Motivational Speaker and Performance Coach Les McKay is more than a multiple award-winning Sales, Sales Training and Business Development Executive in the pharmaceutical industry; his diverse background as an educator, coach and top martial arts instructor has given him a unique perspective on the skills needed for success. 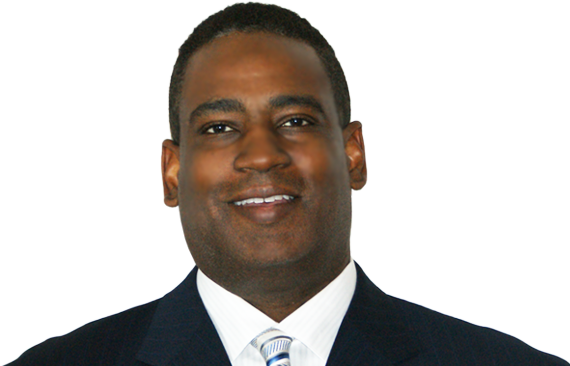 Les earned a degree from Hampton University in Education while balancing a successful college football career as a member of Hampton University’s Football Team. As a teacher and high profile coach with Norfolk Public Schools, he used his personal experiences to inspire the youth and student athletes he mentored, focusing on accountability, attitude and setting short and long term goals. Les uses real-world facts, personal testimonies, and humor to captivate and engage his audiences. Additionally, Les is an accomplished Hapkido martial artist with a 3rd degree black belt in both Jin Jung Kwan and Shin Moo. As a Lead Instructor for Executive Martial Arts of Nashville TN, he trained police officers and the US Army’s Special Forces, receiving special recognition from 2nd Battalion, 5th Special Forces Group (Airborne) for his contributions to their combat readiness. Les is currently the Regional Account Manager for a major pharmaceutical company, bringing 17 years of management and executive success to his audience. Combined with the Hapkido philosophy of “coordinated power” and his personal experiences as an educator and coach, the result is a dynamic presentation that is not to be missed. As an attitude speaker and success coach, Les is one of those speakers you don't want to miss.